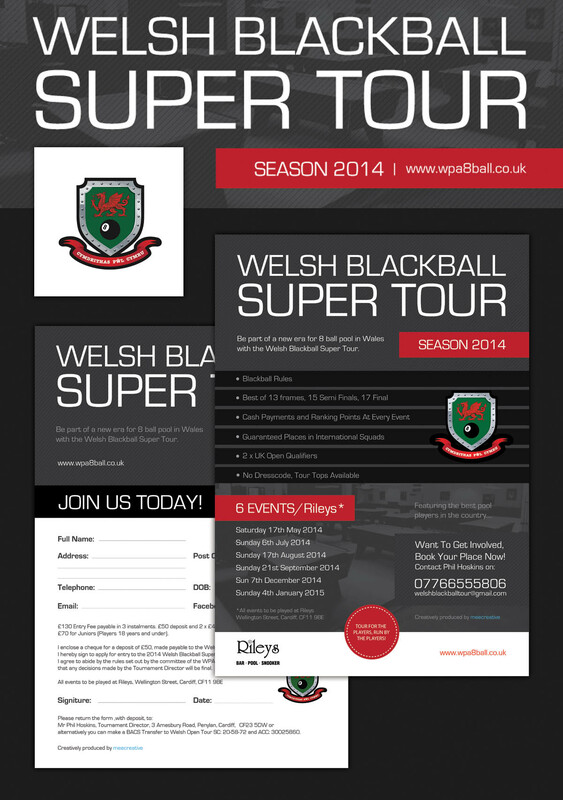 The Welsh Pool Association (WPA) is the Blackball rules organisation of 8ball pool in Wales. 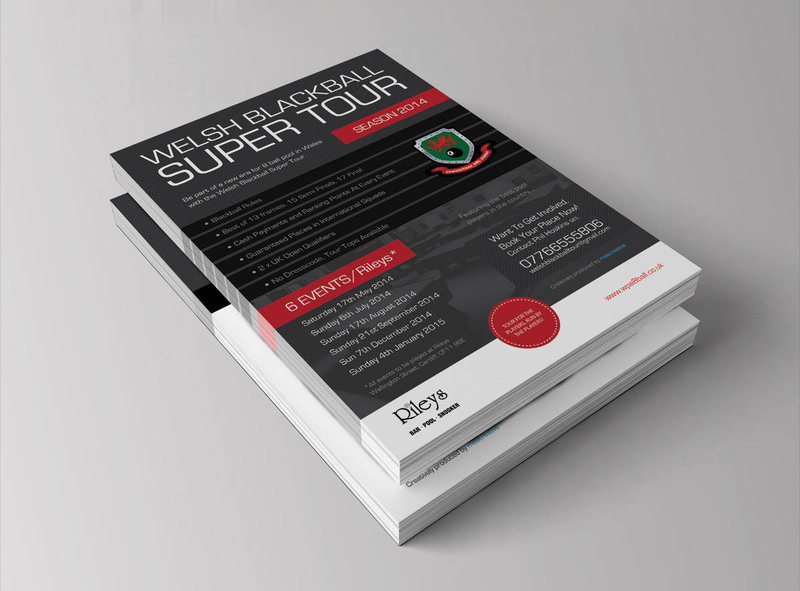 Having seen a lack in numbers on last year’s tour the organisation tasked us in developing a new brand name and visual DNA to attract more players back onto the pool tour. With our own MD being an amateur pool player gave us great knowledge and insight into the sport in Wales. We developed a new tour brand name with a clean yet bold visual design language. 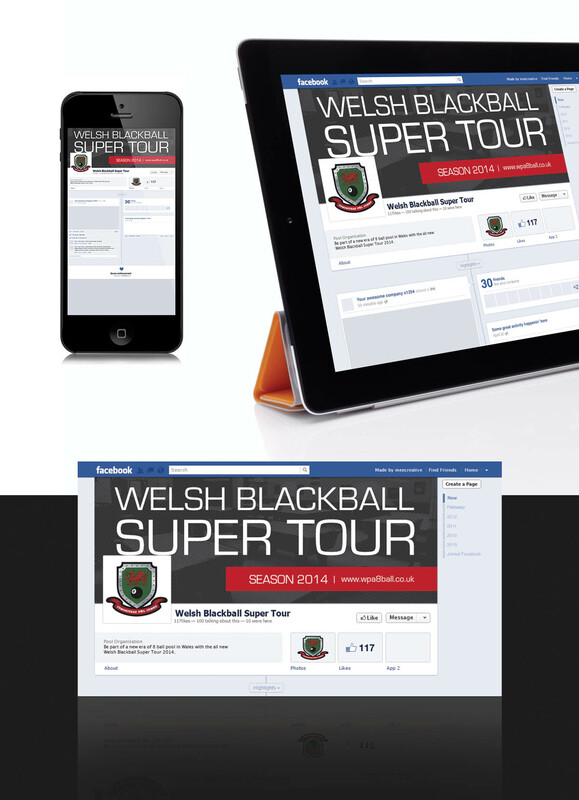 A series of strategies were developed for the Welsh Blackball Super Tour using social media to engage with the players on a more frequent basis giving them access to live updates, tour information and up and coming events.